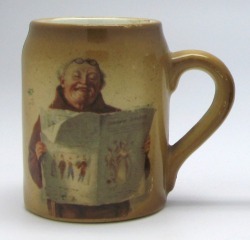 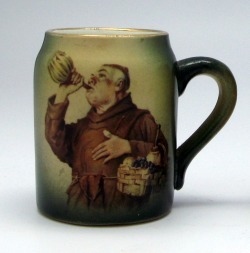 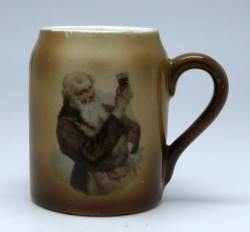 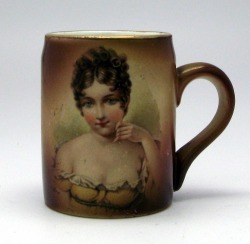 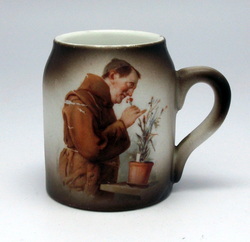 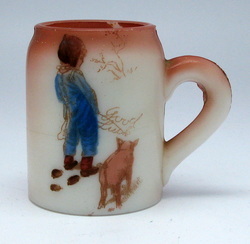 Ornamental hand painted or tinted mugs generally tend to be less valued among collectors. 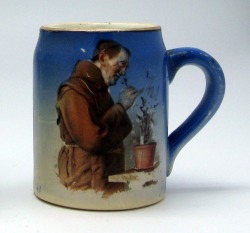 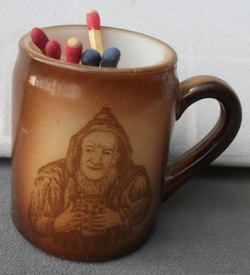 However, subject matter or how decorative a mug is can impact collector interest. 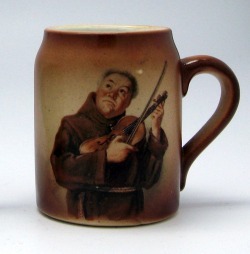 The most common themes found are monks portrayed in a variety of settings.